A large range of knots and some stylized type or knots that are used as decoration by the ancient Celts are known as Celtic Knots. They are used mainly in decorating church monuments and manuscripts, such as the Book of Kells, 8th century St. Teilo Gospels and the Lindisfarne Gospels. From then on, it spread to different parts of the world. Interwoven patterns first made an appearance in the handicrafts of the Roman Empire. In the third and fourth centuries AD, knot patterns were first seen—an art form that was soon adapted to mosaic floor patterns too. This art form was used a lot in Byzantine architecture, Celtic art, Coptic art, Islamic art, etc. In or around 450 AD, before the Celts could be influenced by Christianity, Celtic culture took the form of knots, spirals, plait, braid, step and key patterns to depict richly symbolic seven creations. These creations were: man, mammal, plant, insect, bird, fish, and reptile. 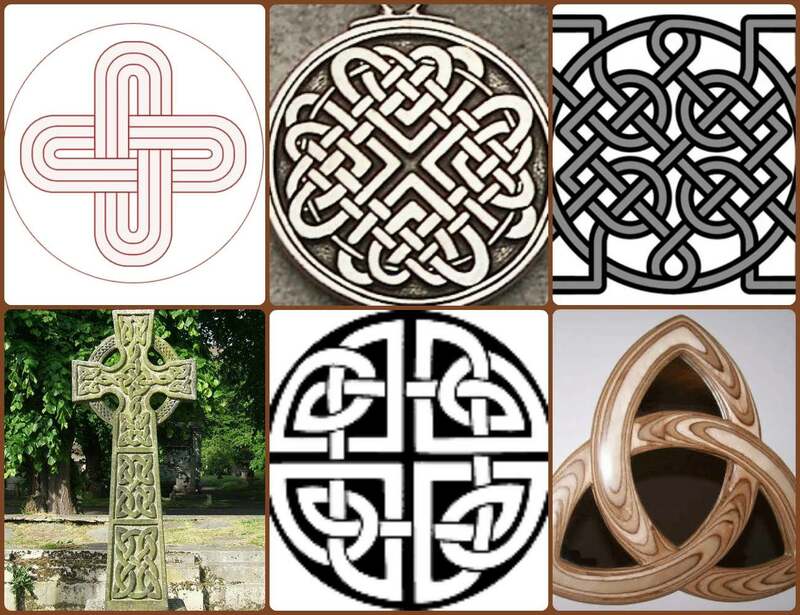 Just as each of these symbolizes something important, so do the kinds of Celtic knots. At first, the patterns were ornate cords or plaits, seen in sixth-century Italy. Broken and reconnected plaits are said to be the genuine Celtic knots. This originated in North Italy and the south part of Gaul and went on to Ireland by the seventh century. Though this style was predominant all over Europe, these days, it is more or less restricted to Welsh, Irish or Scottish territories. 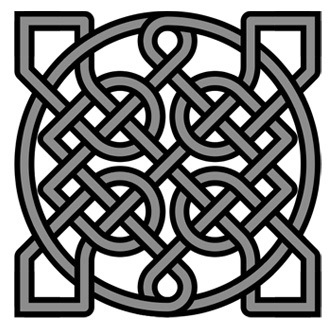 At its most basic, the Celtic knot symbolizes the sign of the Cross. If you look closely at knots with crosses, you will find that the knots hide the crosses between the knot’s ribbons. 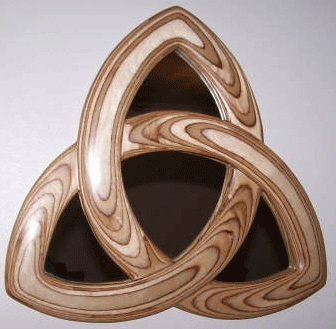 Of these, the triquetra knot or the Trinity knot is the most famous. You can spot it in typical Celtic jewelry. In religious works, it is used to symbolize the Holy Trinity. In its purest form, it stands for eternal life. Created by the earliest generations of the Celts in Britain, its origins can be traced back to 2500 BCE. It has a three-sided knot which stands for the forces of nature—earth, water, and fire. The one continuous line stands for unity and oneness of spirit. This one continuous line is of Scottish origin, where it stands for love and fidelity in love, and so is known as the Celtic love knot. In the Neolithic Age of Europe, it was common to see single and double spirals on temples and other monuments in Europe and the Celtic islands. The spiral stands for growth, eternal life and movement in the cosmos. The whorls of the spiral stand for continuous growth while the gaps between the spirals stand for the gaps between life, death, and rebirth. 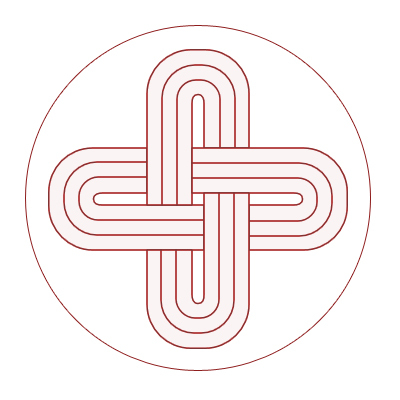 This stands for the love between two people, depicted by interlaced knots. Lovers exchange these knots just as couples exchange rings these days. 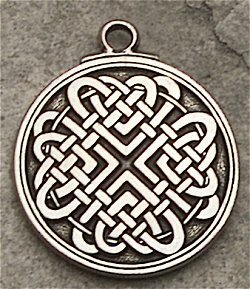 The Celtic Oval knot is the simplest of all Celtic love knots. 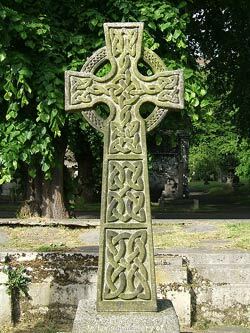 It stands for eternal life and goes back to 2500 BCE when the early Scottish, Welsh and Irish Celts first devised these knots. The Solomon’s Knot is a very ancient Celtic Knot symbol that is believed to represent the union of a man and the Divine. In fact, it is one of the oldest symbols and is seen even in the stone-age carvings. 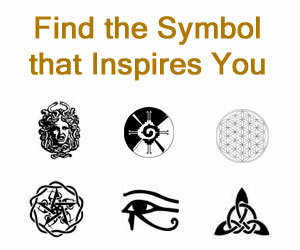 It is also one of the few symbols that can be found in nearly all the major civilizations. Its frequent appearance in ancient synagogues led to it being linked with King Solomon. Solomon’s Knot lends itself to several symbolic interpretations. The absence of any beginning or end in the knot makes it a symbol of eternity and immortality, while the design of two entwined figures makes the knot a symbol of love.